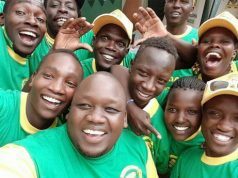 Maisha Bora society was registered and lived under the name Kimbo Sacco until October 2003 when we acquired our current name Maisha Bora Sacco after the sale of Kimbo brand by Unilever. This development further created an opportunity for the Sacco to broaden the common bond to accommodate members outside our traditional bond of Unilever and Research International. The change of name also reflected the diversity in our membership further leveraging the strategic direction to grow the Sacco. Over the years the Maisha Bora SACCO has grown from strength to strength to become a commercially autonomous, democratically controlled and self-reliant business enterprise. This is due to the support received from our members and other stakeholders at large. Currently, our asset base stands at 2.08 billion; our loan portfolio is 1.8 billion. The assets are supported by member deposits of 1.7 billion, share capital of 101 million and other liabilities. The Sacco has also experienced growth is staff numbers and professional experience. Go to https://portal.maishaborasacco.com/ and click on the link “JOIN TODAY” on the left upper end of the screen. Complete the online membership form and submit.Pay the joining fee & share capital using our paybill number 600110 with your ID number as account number. 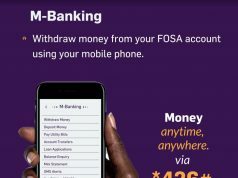 You can also deposit fund at the bank or at the FOSA. You can fill the hardcopy membership form available at our office and on our website www.maishaborasacco.com under downloads menu. Is membership open to the general public? Yes. 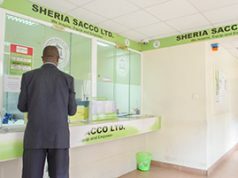 Maisha Bora Sacco has an open common bond and therefore members of the public are eligible to join.
. When does a member become eligible for a loan? After a period of 1 to 3 months depending on the membership category. Upon acquiring a minimum share capital of Ksh 1,000. The waiting period has been waived for members transferring directly from another Sacco. MAISHA BORA SACCO :What is membership structure? *all member categories listed above have access to all our service. First time user of new portal Click on first time user of new portal link. 1.1.Enter your national ID number.1.2.Enter your membership number starting with 00i.e. 0010XXXX1.3.Enter captcha code as it’s on the screen.1.4.Tick accepts terms &conditions checkbox.1.5.Click on submit. 1.6.Initial password will be sent to your phone/email.On the new page1.7.Enter your national ID number.1.8.Enter your membership number starting with 00 i.e. 0010XXXX1.9.Enter captcha code as it’s on the screen. 1.10.Click on login 1.11.Token will be sent to your phone/email. 1.12.Enter password & token sent in 1.6 & 1.11 above to new window that pops up to allow change password.1.13.Click on submit button. 2.Already Registered User2.1.Enter your nation ID number.2.2.Enter your membership number starting with 00 i.e. 0010XXXX2.3.Enter captcha code as it’s on the screen.2.4.Click on login.2.5.Tokenwill be sent to your phone/email registered to the Sacco. 2.6.Enter password&token that was sent to your phone/email. 3.Forgotten password : Click on forgotten password link.3.1.Enter your national ID number.3.2.Enter your membership number starting with 00i.e. 0010XXXX3.3.Enter captcha code as it’s on the screen.3.4.Tick accept terms & conditions check box.3.5.Click on submit.3.6.Initial password will be sent to your phone/email.On the new page3.7.Enter your national ID number.3.8.Enter your membership number starting with 00 i.e. 0010XXXX3.9.Enter captcha code as it’s on the screen. 3.10.Click on login.3.11.Token will be sent to your phone/email. 3.12.Enter password & token sent in 3.6 & 3.11 above to new window that pops up to allow change password. 3.13.Click on submit button.